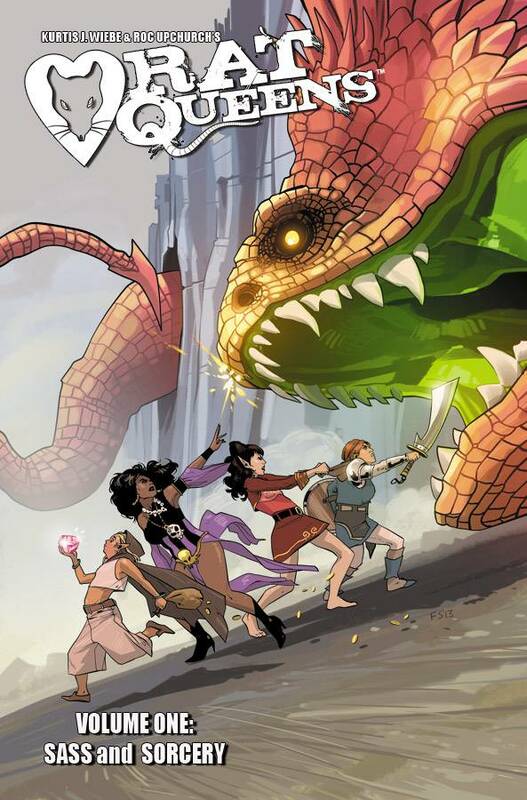 Who are the Rat Queens? A pack of booze-guzzling, death-dealing battle maidens-for-hire, and they're in the business of killing all god's creatures for profit. It's also a darkly comedic sass-and-sorcery series starring Hannah the Rockabilly Elven Mage, Violet the Hipster Dwarven Fighter, Dee the Atheist Human Cleric and Betty the Hippy Smidgen Thief. This modern spin on an old school genre is a violent monster-killing epic that is like Buffy meets Tank Girl in a Lord of the Rings world on crack! Collecting the first 5 issues of the sold out hit series at the special introductory price of $9.99! Collects RAT QUEENS #1-5.